The battle lines for the current London Mayoral and Assembly elections are becoming clearer. 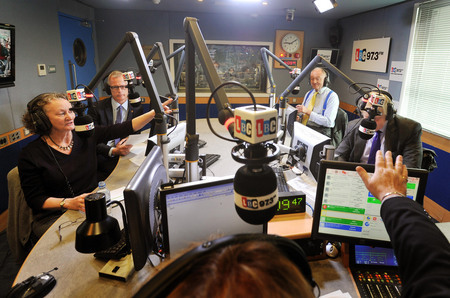 Yesterday saw the four main candidates engage in a lively radio debate on LBC 97.3. Whilst the event gained rather more publicity due to Boris Johnson’s subsequent tirade of abuse to Ken Livingstone over their tax affairs, there was a good opportunity to see where the major issues will lie if you look beyond the obvious headlines. Although I have to confess to bias, Jenny Jones used her limited time nimbly and had something constructive to say on each issue, even though it was obviously a real struggle to get in between Johnson’s tendency towards self-regarding monologues. In an echo of the Prime Ministerial debates in 2010, at several times candidates agreed with ideas she put forward, giving a sense that the others took her seriously as a voice in the debate. At the same time, she was mischievous in the face of the obvious macho posturing on display between the two frontrunners, effectively stepping above the fray. Where candidates had most traction over the Mayor was in picking apart his record on issues such as police numbers, traffic safety, air quality and building homes. It would be apparent even to the most fervent Boris fan that he has questions to answer here and his flat denials didn’t ring true when the other candidates. Even when talking about cutting waste at City Hall, a particularly topical issue and one he should dominate, he floundered in explaining to Jenny what he had been doing for the last four years if he felt able to promise a further £1 billion cut in spending. She needs to keep hitting all candidates, especially Ken Livingstone, with the question of how they will ensure value for money in their pet projects. Yet overall, the interesting debates were the ones that were skimmed over superficially. Opportunities still exist to challenge the vision for increased aviation and affordable public transport in the capital. More importantly, twelve hours after listening to the debate, I am already struggling to recall the plans of each candidate around economic growth and job creation. If I had any advice to Jenny Jones, it was that she should put that at the forefront of her pitch, as it tended to get buried between more the more traditional Green policies. This isn’t the first time I’ve talked about the need to make a priority of employment policies, because it is clearly the main consideration for whole swathes of people I talk to who are experiencing or facing job losses. Even those in safe jobs are seeing increased workloads as recruitment freezes dominate. What is encouraging is that none of the other candidates have locked down this theme with the electorate sufficiently to block anyone else having a hearing. The public’s priorities will shift again, but for now there is an unsatisfied appetite for plausible solutions to this issue. In the next month, the successful candidates will be those that place trust in their well-known policies to sell themselves without too much media work. Bolstering the core vote can be accomplished through the dialogue local parties are having with the public and campaign literature, whilst the Mayoral candidates can move their attention to trickier and contested ground in the scant media airtime available to them. For those of us without the backing of big party machines, we have to take that chance and surprise the electorate with the minimal resources at our disposal.